Sadly, we announce the passing of our dad, Cliff Wharton on November 4, 2015 at the age of 83. 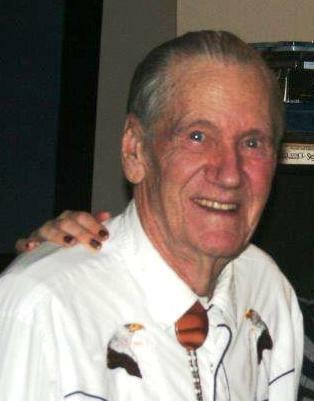 Cliff was born in Penticton on May 20, 1932 and was recently predeceased by his wife of 62 years, Leah. He also was predeceased by his parents Eric and Emma Wharton and his niece Belinda Souder. Dad leaves behind his daughter Sherrie (Hans) Lind, son Gary (Valerie) Wharton, and sister Joy (Bruce) Wisbey. Dad enjoyed the visits with his 4 grandchildren, Angela (Steven) Turner, Tim (Melanie) Lind, Kelsie (Matthew) Davis and Marlyse (Justin) Harrison along with his 8 great grandchildren, Emily, Jacob, Faith, Seth, Samuel, Clark, Flynn and Gwen. Dad spent his early years working for International Harvester and then James Western Star as a parts man. He prided himself on the fact that he knew every part number there was and never had to refer to a catalog. Dad decided to retire at 40 and with mom at his side they set out to ‘live off the land’. For the next 40 years they would buy and clear land, build homes and move again. We used to call them gypsies as they rarely stayed in one place for more than a couple of years before they would get itchy to start on another adventure! During the winter months Dad would try new hobbies and was a frequent craft fair vendor with his stain glass creations, leather crafts, lapidary work and scroll saw designs. But he was the happiest when he could be outside working on his land and of course that meant the best tractor he could afford! Dad and mom also spent many, many years as vendors at various Farmers’ Markets in Kamloops, Salmon Arm, Enderby, Armstrong and Vernon.